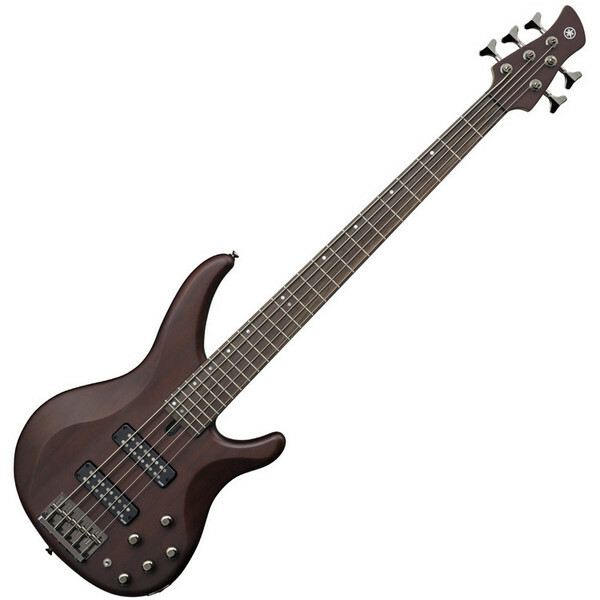 The Yamaha TRBX505 5-string bass guitar is an excellent second instrument for any bassist looking to expand their range. The versatility and professional specs are excellent for intermediate players. The mahogany body is finished in Translucent Brown and sports a pair of Yamaha Alnico humbucking pickups. The TRBX505 has a 5-piece maple / mahogany neck and a rosewood fingerboard with 24 frets and dot position inlays. The Active/Passive circuitry option makes this a particularly versatile bass.